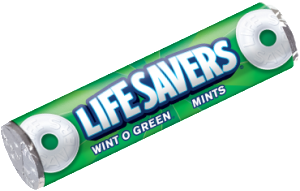 Which mint came first: Polo or Life Savers? When two near identical products emerge in two separate markets, it can sometimes be a coincidence. Sometimes it’s just blatant imitation. Polo and Life Savers are annular (ring-shaped) mints, sold in tube shaped packaging. Clarence A Crane (1875 – 1931) was an American chocolate manufacturer. To offset low summer sales, he introduced the Life Saver mint in 1912. The ring shape of the mint was initially created by mistake, but Crane liked its distinctiveness. The Life Savers name was chosen as the shape of the mint resembled life belts (life preservers in US English). Life Savers were launched in the United Kingdom in 1916. 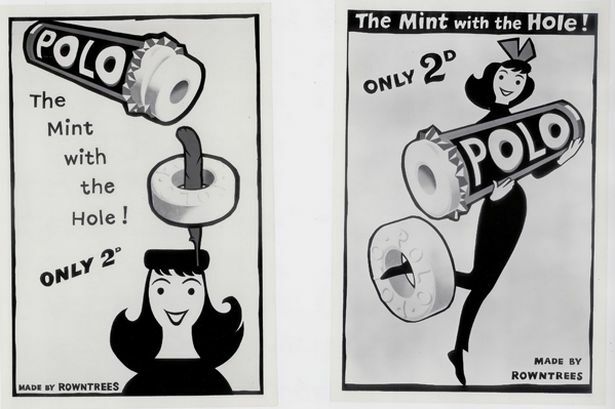 At a time when medical claims for products were unregulated, the mints were advertised as an aid to digestion. James Pascall, confectionery manufacturers of London, held the licence to distribute the product. US sales of Life Savers had reached $5 million a year by 1921, with distribution across 84,000 outlets. Life Savers were manufactured in Britain from at least 1923. As well as the original peppermint, there were cinnamon, liquorice and clove flavours. Sales peaked in 1931, when 2.28 million packets were sold. However confectionery rationing and limited imports during the Second World War meant that sales were practically non-existent by 1947. Rowntree of York believed that the confection had potential when combined with their knowledge of the British market and manufacturing, advertising and distribution expertise. They had developed the Polo in 1939, but rationing saw its introduction delayed until 1948. The Polo followed a wave of 1930s innovations at Rowntree that included Aero, Smarties and Kit Kat. Rowntree was aware that Polo was very similar to Life Savers, but as the company had not taken any action to protect their rights to the annular shape in mints, Rowntree was free to introduce its own version. To prevent legal action they stated “Made by Rowntree’s” clearly on the packaging. Life Savers struggled to compete with the domestic strength of Rowntree, and British sales of Live Savers ended in 1956. Small scale imports of Life Savers resumed in 1984, for sale in US military bases in Britain. Life Savers were reintroduced to the UK, imported from South Africa, in 1996. The relaunch was to prove unsuccessful.